So today, I decided to have the week’s cheat meal…although doing it the day before I go to the gym for a personal ‘fitness assessment’ probably wasn’t all that smart. Don’t care, ate Grill’d, it was delicious. Plus, it feels…well, I could almost call it healthy (at 535cal it’s not horrendous, but it’s not great). The chips I don’t think I can even vaguely justify apart from the fact that they were yum despite a definite lack of herbed mayo. Alas for not checking the bag before leaving! But the point of a cheat meal is to not feel guilty for eating it, it’s to feel good about eating it because you’ve eaten so pedantically (and been so boring about food and exercise) for an entire week. My reward for losing the first kilo? Picked that bad boy up last Wednesday – I have never bought myself anything like it! 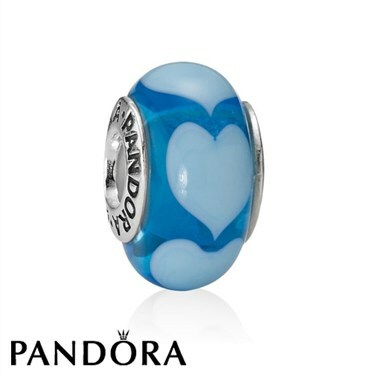 But I knew I wanted a blue charm for my bracelet, so it seemed the logical choice for my first reward. Week 2 is definitely more productive blog-wise than week 1! Last night wasn’t so great, following staff meeting that ended at 8:30 (blargh) dinner still hadn’t happened. Along with the fact that dinner wouldn’t have been cooked until much later, this left me wandering the aisles thinking, ‘Can’t eat this…can’t eat this…can’t eat that…should eat this…thought of eating that is highly unappealing…’ until I eventually collapsed in an emotional heap, declared there was nothing to eat, and so didn’t. This is bad, bad, bad. This is very bad relationship with food that I need to amend. – today: go for jog! Every time I stop to walk, squat jumps. – in general: buy scales. I don’t own any, I don’t particularly like the idea, but I’m going to anyway. However, there will be rules! # Weigh myself once per week, and once per week ONLY. # Same time of day, same clothing. – in general: buy diary for next year. Just…well, just because. Excited for my points count for uni to come through. Stoked at the idea of knowing exactly what to do to graduate next year!